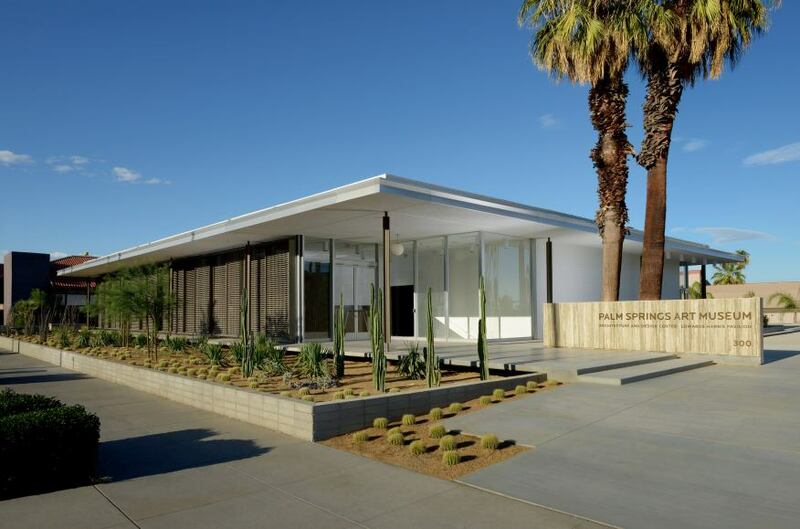 For modernism Week, which seems to grow in success and prominence each year, we took a moment to chat with the woman to know Brooke Hodge, Director of Architecture and Design at Palm Springs Art Museum. 1. How do you explain the increasing success of Palm Springs modernism week, and - in a more general sense - Palm Springs’ particular brand of architecture? 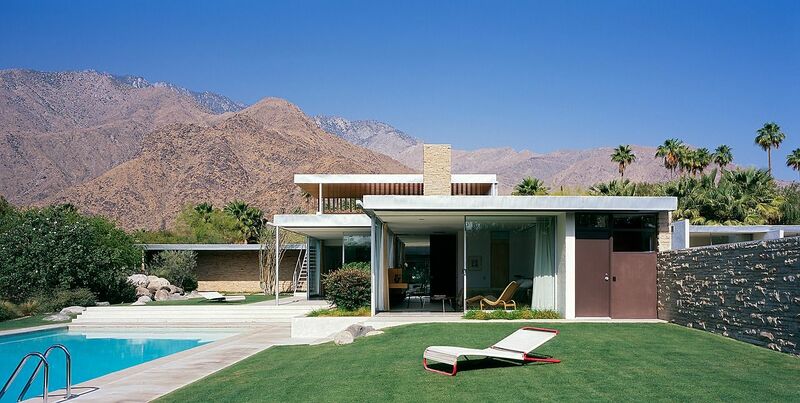 Palm Springs--with its abundance of undeveloped open space (at least in the mid century), dry, temperate climate, and adventurous clients--was the perfect site for an exploration/reinterpretation of International Style modernism. Flat roofs, indoor/outdoor living, large expanses of glass all worked extremely well in the desert environment. 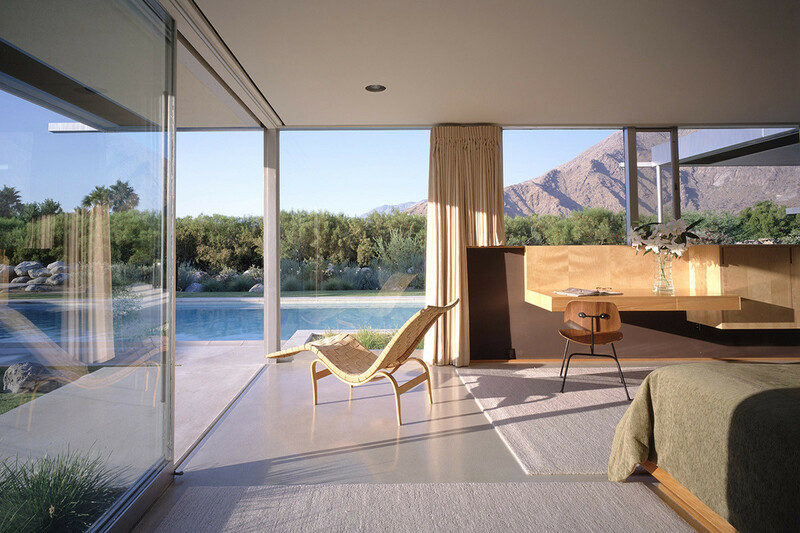 Richard Neutra paved the way with his 1937 Grace Miller House and his 1946 Kaufmann Desert House, which were among the earliest modern projects in the desert. Many of the desert modern architects came here originally for other jobs and ended up staying because they liked the climate and saw the opportunity for work, lots of work in the then-young city that was expanding at a fairly rapid pace. I think the combination of a resort town in a beautiful setting with world-class architecture (and a world-class museum!) is a winner and has been what's attracted people over the years. Modernism Week started as a way to educate people (residents and visitors alike) about the significance of what is here and also to promote the city. 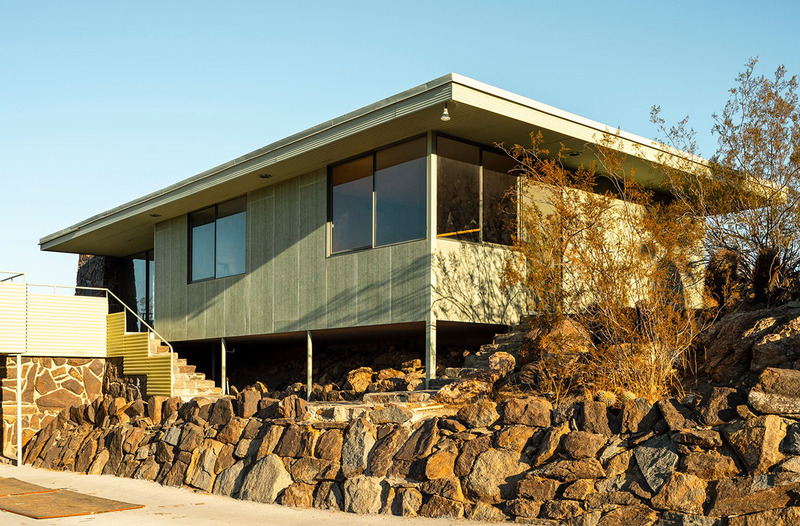 People from far-flung places that also have caches of midcentury architecture like Australia, New Zealand, Europe, and other North American cities like Vancouver and Sarasota were drawn here largely thanks to the growing popularity of Modernism Week. The organizers have been very smart about expanding the offerings to create a more expansive view of modernism, by bringing in lesser known figures, showing how contemporary figures have been influenced by modern architecture, etc. There is still lots of potential and they keep it exciting, always hunting for buildings that haven't been seen before (or at least by many people) to keep the offerings lively and fresh. And, as Palm Springs has grown there are better restaurants, hotels, etc, which are also a draw. Grace Miller House, 1937. Courtesy of Modernacious.com. 2. You’ve worked in Los Angeles and New York. What has the transition to the desert been like? And how is Palm Springs growing. I've ended up loving the desert even more than I expected. I've always been drawn to opposites: big urban cities or small towns in remote open spaces (Marfa, one of my top 5 favorite places, is an example). Palm Springs ended up being somewhere in the middle for me: the charm of a small town with the sophistication of a much larger city and add to that the immediate access to such a beautiful natural environment and the peaceful openness of the high desert (and it's interesting community of artists and makers) not that far away. Palm Springs is also a very social place and, unlike LA or even New York, it's easy to do more than 1 thing in an evening because everything is so close together. I was surprised at how many interesting full-time residents there are here. I've made so many great new friends since moving here. Since I moved here 2 1/2 years ago, downtown has transformed quite dramatically with a new high-rise hotel, more shopping and restaurants. I should add that all of that has been great for the museum, bringing in more visitors all the time. A new park, designed by Rios Clementi Hale, is planned for a central site in downtown PS and it will be right across from the museum. I've also noticed that people who grew up here are returning and that is changing the demographics. More young people, and a greater variety of people, are visiting and often looking for second homes here. It's definitely become much more of a getaway from Los Angeles, and even San Francisco, than it was when I lived in LA five years ago. The connection to the artists and makers in the high desert also seems stronger with events like the Mojave Flea coming to town. 3. 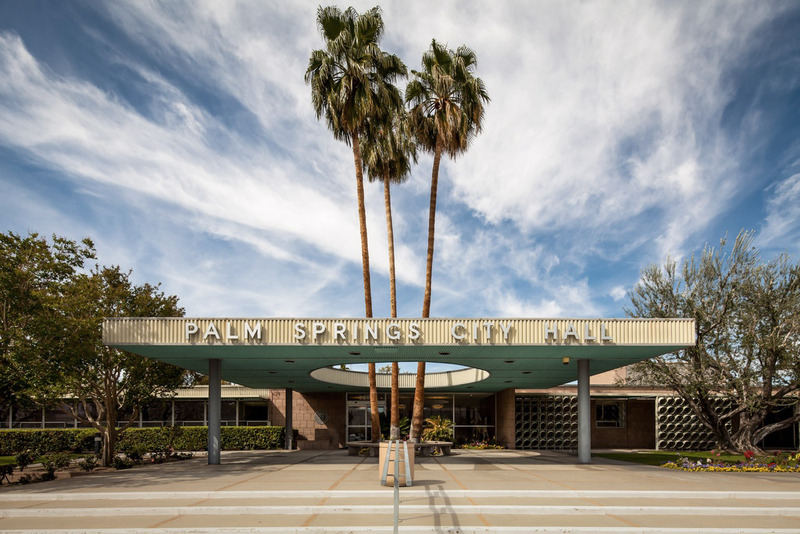 Finally, can you list five modernist structures one should visit during a trip to Palm Springs for modernism week (they don’t have to be the best or your favorites, perhaps just something interesting. This municipal building was designed by Albert Frey, E. Stewart Williams, John Porter Clark, and Robson Chambers, a dream team of modern architects. This house was designed by Richard Neutra and commissioned by Edgar J. Kaufmann Sr., a Pittsburgh department store tycoon. In 1935, Kaufmann commissioned Frank Lloyd Wright to build Fallingwater in Pennsylvania. While public tours are not offered, it is possible get a glimpse from the street which makes a drive-by worthwhile. Lance Garber/Courtesy of Modernism Week. Cree House II, 1955 designed by Albert Frey has been nicknamed the "forgotten Frey," as this house has rarely been open to visitors until this year's Modernism Week. This former Santa Fe Savings and Loan bank was designed by E. Stewart Williams and immaculately restored by Marmol-Radziner Architects in 2014 to serve as an exhibition space for architecture and design. An exhibition of the work of the last surviving Desert Modern architect Hugh Kaptur ("Hugh Kaptur: Organic Desert Architecture" is on view from Feb. 2- June 17, 2019. Plus, there's a fantastic gift shop! 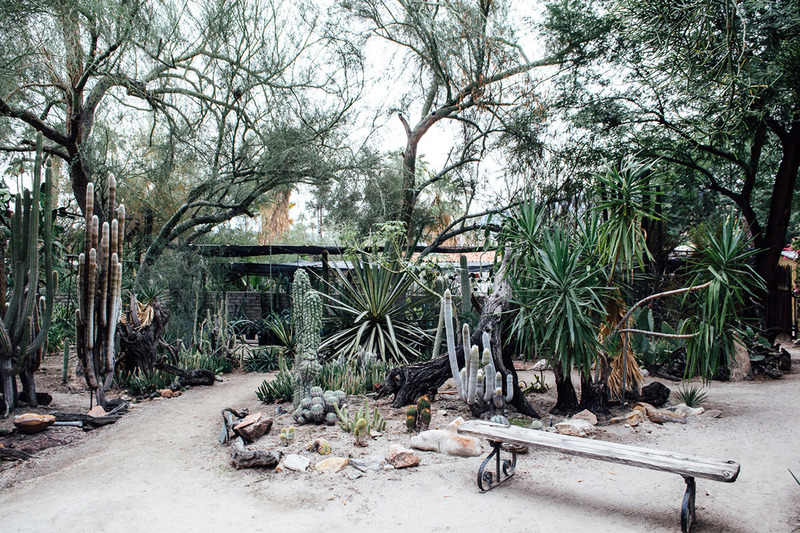 Not architecture, but a slice of old California in this rambling cactus garden tucked away in South Palm Springs. Don't miss the "world's first Cactarium" with its collection of rare cacti and succulents; founded by a former Keystone cop and his botanist wife back in 1948. 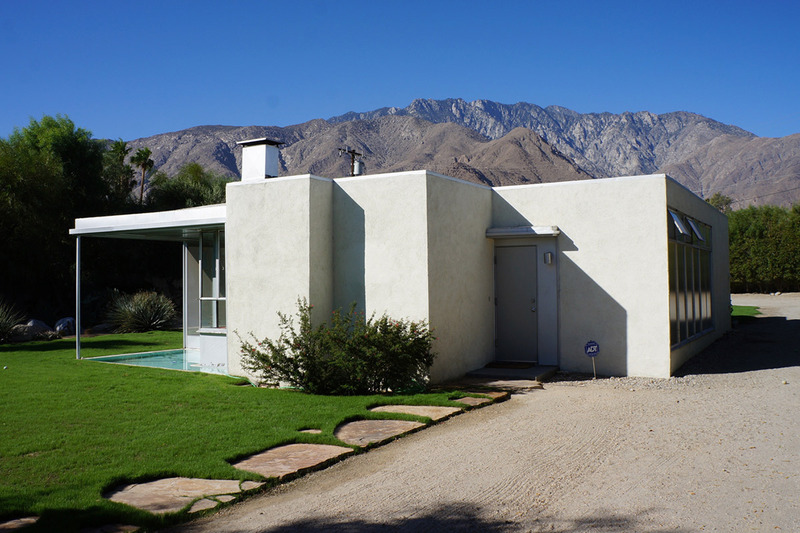 Slim "Cactus" Moorten did the original landscaping at Kaufmann Desert House.